Soccer is known as the most popular sport in the world. Kids in virtually every country kick around the soccer ball. Where there are games, there are people that bet on it. In order to bet soccer, you must understand it and how the numbers work. There are hundreds of matches every week and many sportsbooks readily available to accept your bet. Different levels of soccer have some variations of the rules. For our purposes, we are talking about the upper levels of the game. Each team had 11 players on the field while the match takes 90 minutes or regulation with extra time added for stoppages such as penalty kicks and injuries. The main purpose is to score more goals than your opponent within the allotted time and rules. Soccer matches can in a tie which is known as a draw. Sporting KC at Vancouver, 10 p.m.
New England at Real Salt Lake, 9 p.m. There are three types of bets that we will cover in the sport of soccer. They are win or lose, handicap, and totals. First, we look at win/lose and some countries refer to it as 1×2. This is the same concept as Moneyline in baseball. This is betting which team will win or lose the match. The number 1 is the home team winning, the x is for the draw, and the number 2 is for an away team win. The handicap betting is similar to betting the outcome but the favorite team with have a negative number and the underdog or team that is not favored to win is listed with a plus number. To win this bet, the team with the negative must win by a larger number than the figure that was set. The other way is if the positive handicap (underdog) team must win or lose by a smaller margin than the handicap bet was for. In the total bet, it doesn’t matter which team wins or loses. It is all based on the number of goals that were scored in the contest. For example, if the sportsbook lists the match at 2.5 goals, you can bet that the combined teams will go under that number or you can bet they will score 3 or more goals in the contest. Shop around for the best odds that fit your betting needs. Find one that offers bonuses and other nice things to accept your business. Ask around to people you trust. Don’t just take the sportsbooks word for it. Check their reputation which includes if they have prompt payouts and how much do they get out of each of your bets. To be a successful soccer bettor, you need knowledge of the game. Some of those things to check out are their injuries to the team. Who won’t be playing in this contest due to an injury? Does the team win regularly on the road? Are they a good team at home? What is the weather for the game which includes looking to see if they play in a dome? All of those things can affect the outcome and your bet. You are responsible for your own bets. Be sure to double check each and every bet before you place it. Don’t rely on guys that get paid to give you tips on each contest. They are only there for the money. They want yours! Soccer is the most popular sport in the world with children and adults from every corner of the world kicking around soccer balls. In many countries, it is called futbol (football). Almost every country or continent have professional leagues. We are going to look at some of the largest one and give a brief synopsis of it. This league was founded in 1955 as a replacement for the European Cup league that had to disband. There are 78 teams that feed into the league tournament from Europe. The top 32 teams are allowed to play in the UEFA Champions League tourney. They are seeded and placed in groups of four in the playoff round which takes place near the end of July. They play each other in a double-elimination format to move on to the next level. from there the eight winners of each group and the eight second-place teams begin a single elimination knockout phase. this continues until the finals in May. The team that wins the league also qualifies for the UEFA Super Cup and the FIFA World Cup. Since the league began, Real Madrid has won the tournament the first five years and now has 13 total titles. England and Italy have each won 12 times. England has won the title with five different clubs. This league began on February 20, 1992, and is made up of 20 teams with one from Wales and 19 from England. Manchester United holds the record for most titles with 13 of them. the league is set up where good teams get promoted and poor teams get relegated to a lower echelon. The Premier League is the most watched of any soccer league in the world. Major League soccer is made up of teams in the United States and Canada. It was founded on December 17, 1993, and have their headquarters in New York City. The first year of play was in 1996. The Los Angeles Galaxy hold the most titles with five. The league has 23 teams and they are divided in an Eastern Conference and a Western Conference. Last season the winner of the end of year cup was the Toronto FC and it was their first title. Many games are televised on one of the ESPN network channels. This league was founded in 1955 and is for teams from Germany. This league boasts it has the highest average stadium attendance than any other league in the world. The league is made up of 18 teams and use the promotion and relegation routine with their teams. The season begins in August and continues through May with contests being played on Saturdays and Sundays. Bayern Munich has won 27 titles in Bundelisga history. The teams in this league are the best in Italy. The league winner is awarded the Coppa Campion d’Italia. Juventus is the defending champion and has won the title 34 times. The league was founded in 1898 and then in 1929, they went to a round robin format. The league hosts three of the world’s most famous clubs as Juventus, Milan, and Internazionale, all founding members of the G-14, a group which represented the largest and most prestigious European football clubs since 2000 to 2008. This league originates from Mexico with 18 teams that are relegated or moved up every three years for the Campeon Cup. Teams come from Mexico and some from South America also may join. They hold two tourneys which are Apertura and the Claustra. Eight teams advanced to the playoffs for a chance at the Cup. This soccer league comes from Spain. 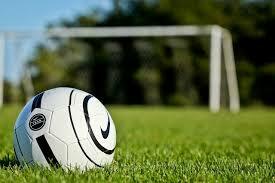 It is under the organizing body known as Liga de Futbol Profesional. The league was founded in 1929 and is under the confederation UEFA. There are 20 teams in La Liga and each play on a one level system. Real Madrid has won the title 33 times but the current champion is Barcelona (25 titles). This is a league from France. They work under the organizing body known as Ligue de Football Professionnel and was founded in 1932. There are 19 teams from France and one team from Monaco. They are members of the UEFA confederation. The current league champion is Paris Saint-Germain and the most championships belong to Saint-Etienne with 10 titles. FIFA Confederations Cup – an international football tournament with eight national teams that is held every four years. The International Champions Cup- When and Where?